Free safety checks on all aspects of your home that have to do with your AIR QUALITY!!! A dirty or clogged dryer vent can cause a fire in your home! Lint will act as kindling if your dryer vent is not clear. 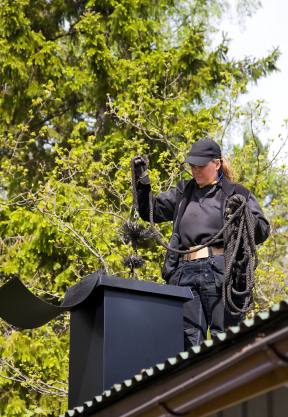 Chimneys can also be a fire hazard if not cleaned by a certified technician yearly and properly maintained! Chimneys need caps for rain guards to keep water out of the chimey, spark arrestors to stop sparks from creating unwanted fires, and closure of the cavity to keep animals and debris out of your chimney. Indoor air pollution is a serious health hazard; in fact, it has been shown to be at least partly responsible for the occurrence of a number of health conditions. 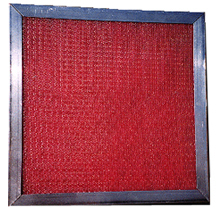 Many people have reported their allergies are often made worse by the unclean air circulating in their homes. 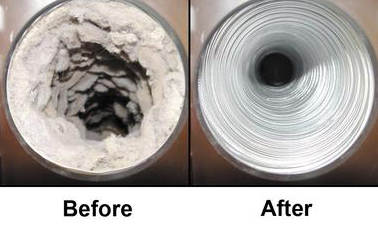 That is why it is essential to be sure your air ducts are cleaned and properly cared for on a regular basis. "Article: http://ezinearticles.com/airducts"